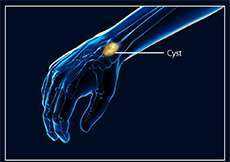 Carpal Tunnel Syndrome is a common condition that affects the hand and wrist. 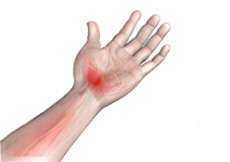 It occurs when the Median Nerve in the wrist is compressed. Nerves carry messages between our brains, spinal cord, and body parts. The Median Nerve carries signals for sensation and muscle movement. 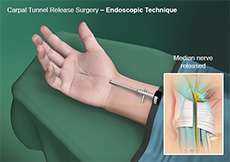 When the Median Nerve is compressed or entrapped, it cannot function properly. 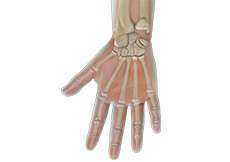 The hand becomes infected more frequently as it is one of the most commonly injured parts of our body. Hand infections, if left untreated or treated improperly, can cause disabilities such as stiffness, contracture, weakness, and loss of tissues (skin, nerve and bone) that will persist even after the infection resolves. Therefore, prompt treatment of hand infections is important. Tendonitis is an inflammatory condition that can develop in a tendon. Tendons are strong fibers that connect your muscles to your bones. 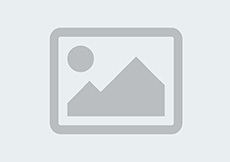 Tendonitis most frequently results from overuse of a joint. Symptoms include pain and tenderness. 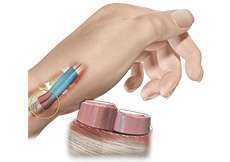 Trigger Finger and Trigger Thumb, medically termed Stenosing Tenosynovitis, are common hand conditions. 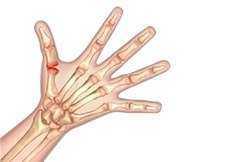 This condition occurs when the tendons in the thumb and fingers do not glide smoothly. Tendons are strong tissues that connect our muscles to our bones. 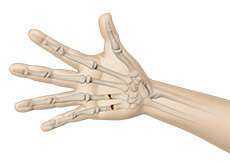 Trigger Finger and Trigger Thumb causes the tendons to catch or get stuck when the fingers or thumb bend. The thumb joint at the base of the thumb is the most mobile in the hand. The thumb can move up and down, in and out, and rotate slightly to touch the fingers. We move our thumbs hundreds of times each day. The thumb works as a grip when we use a hammer or hold a glass. The thumb also acts as a stabilizer to allow the fingers to manipulate items. We use such precision movements for counting coins and handwriting.